DUBAI, UNITED ARAB EMIRATES, FEBRUARY 4, 2014 - Integrated Microwave Technologies, LLC (IMT), a Business Unit within the Vitec Group’s Videocom Division and a leader in advanced digital microwave systems serving the Broadcast and Sports & Entertainment markets, showcases its complete family of RF Central microLite HD Transmitters at CABSAT 2014 (Hall 8, Stand B8-21). Comprising the RF Central microLite HD camera-top transmitter and two RF Central microLite HD camera-back transmitters including the Anton/Bauer and V-Clip mounts, the complete microLite family of HD transmitters offers a full range of docking options for compatibility with nearly every ENG camera on the market. 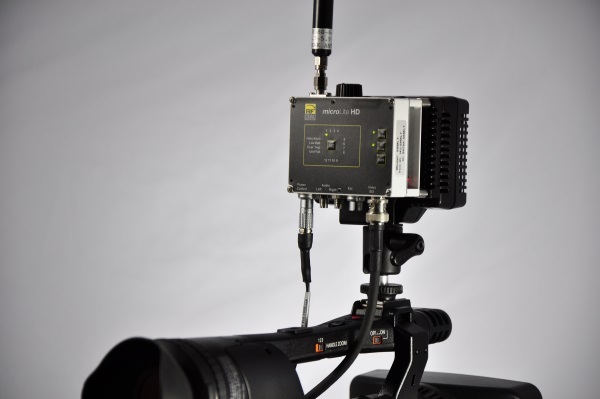 Users can mount the RF Central microLite HD camera-top transmitter via a hot shoe, as well as pair it with Litepanels camera-mounted lighting solutions. For both the Anton/Bauer and V-Clip battery docking options, the mount is positioned on both sides of the clamshell transmitter, allowing it to be connected to the camera. The battery can then be mounted to the transmitter. As a result, users can employ the battery to power up the transmitter and to pass power through to the camera. 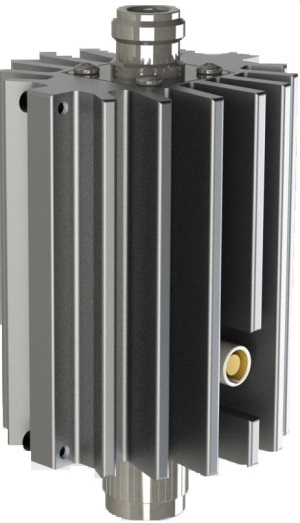 The RF Central microLite HD camera-back Anton/Bauer transmitter conveniently mounts between the Gold Mount® and Anton/Bauer Logic Series® battery. The newest addition to the award-winning RF Central family of microLite HD products, the RF Central V-Clip microLite HD transmitter mounts on the end of the cameras between a plate and any V-mount battery. Developed for the new generation of HD (SDI) capable compact cameras, microLite has been specially designed to address the current domestic and international broadcasting band requirements within a single unit. All microLite HD transmitters are available in licensed 2-GHz and license-free 5.8-GHz frequency versions. The 2-GHz model covers from 1.9 to 2.5GHz and delivers up to 200mW, while the 5.8-GHz frequency band unit has a robust 100mW RF output. Depending on the mode and frequency, the transmitter has a range of up to one mile. The range and power can be increased from 200mW to one watt with the optional Nucomm Range Booster Amplifier (RBA), which is also on display at the show. microLite features superb H.264 SD and HD encoding capabilities and operates in the standard 2k DVB-T COFDM mode. The H.264 video encoder supports the main profile of the H.264 standard, providing a 30-percent bit-rate reduction or video-quality improvement compared to encoders that only support the H.264 baseline profile. Each model features user-friendly control panels and is the perfect companion for IMT’s RF Central Direct VU handheld monitor/receiver. When used together, the RF Central microLite and the RF Central Direct VU combine to form a complete transmitter and receiver link in the field. 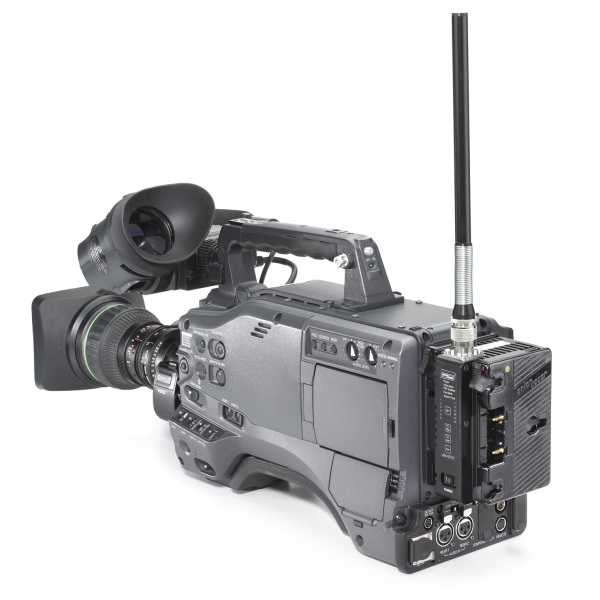 With its compact design, both the microLite and Direct VU are ideal for a variety of mobile applications, including live sports events, reality TV productions, ENG/OB broadcast and video assist. Also on display will be IMT’s Nucomm Range Booster Amplifier (RBA). The RBA is designed specifically to increase the transmission range of camera-back and portable transmitters. The RBA fits directly on the RF output of the Nucomm CamPac2 and RF Central microLite and boosts the power from 200 mW to one watt. The small, lightweight amplifier is powered by the camera battery via a D-Tap or P-Tap to a six-pin Lemo connector. It features RF auto detecting and transmitting, when an RF input is applied. When an RF input is not detected, the RBA will automatically go to standby, drawing less than one watt. The standby power consumption of the unit is significantly lower than any other boosters available on the market today and considerably increases the battery runtime. The Nucomm RBA also features an internal leveling loop, giving the unit a wide RF power input range while holding a constant output of one watt. The leveling loop, coupled with the built-in digital pre-distortion feature, keeps the adjacent-channel spectral regrowth essentially the same as the transmitter being used. Both products are available through IMT’s recently announced reseller relationship with Vitec Videocom. Integrated Microwave Technologies, LLC (IMT) is a Business Unit within the Vitec Group’s Videocom Division. The company comprises the leading microwave brands Nucomm, RF Central and Microwave Service Company (MSC), offering broadcasters worldwide complete broadcast solutions. Nucomm is a premium brand of digital microwave video systems (including COFDM and VSB) for portable and fixed link applications. 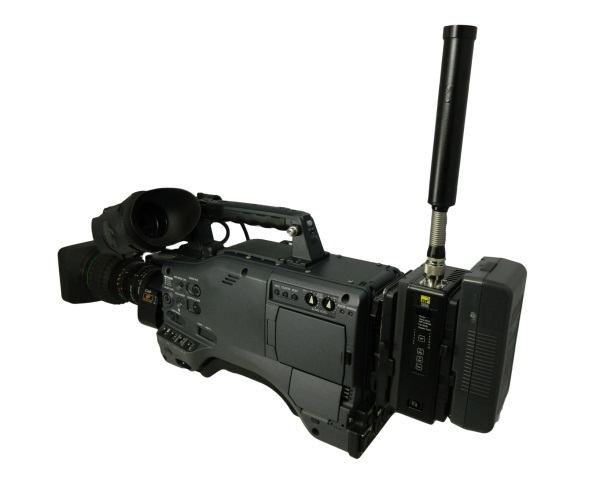 RF Central is an innovative brand of compact microwave video equipment for licensed and license free broadcast applications. MSC is a premier provider of engineering, integration, technical support, installation and commissioning services. IMT is an ISO 9001:2008 certified QMS organization and recipient of multiple industry awards for design and innovations. More information can be found at www.imt-broadcast.com.